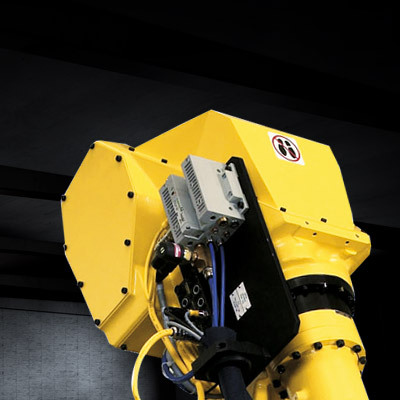 This innovative series of lightweight robots features a slim wrist, rigid arm and small footprint. High axis speeds make it extremely fast. Capable of handling 50 kg, this top mount version is the lightest model in the range. Offering an array of mounting options, it saves space and benefits from extremely good repeatability. 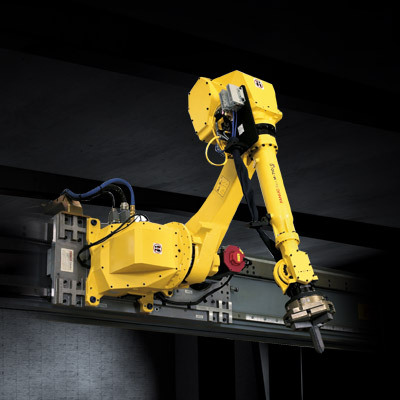 Top mount robots are rail-mounted at 90° or reverse on a linear axis, making them ideal for environments with reduced floor space and ceiling height restrictions. 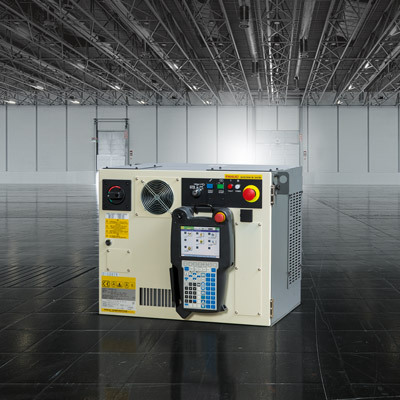 High speed axes, accurate and robust purpose build reducers and motors provide the M-710 with excellent performance and unparalleled reliability and repeatability (± 0.07 mm). 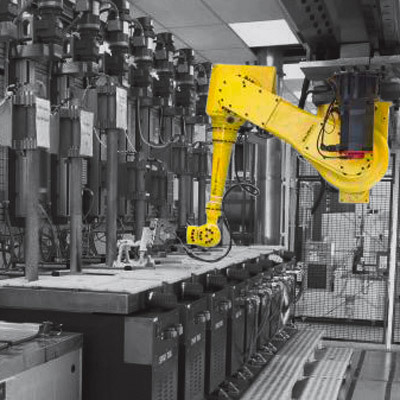 One robot can service multiple vertical and/or horizontal machines to reduce your investment costs. 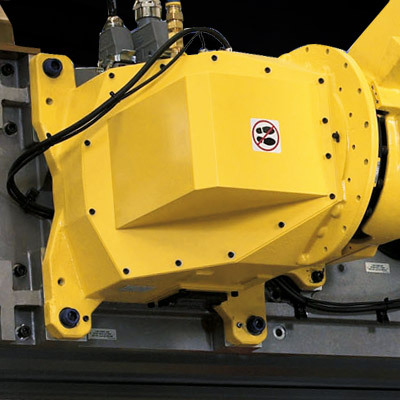 The advanced FANUC αiS30/3000 motor offers higher torque and better acceleration for even faster cycle times compared with the standard motor. 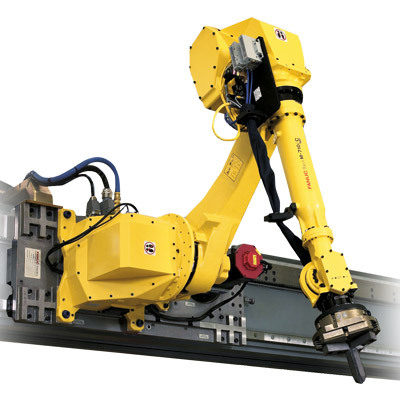 For higher payloads check out FANUC's M-900 series. 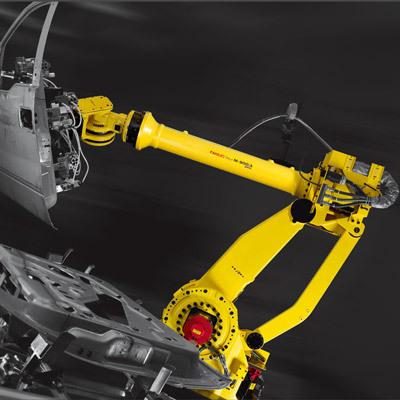 A FANUC Robotics standard Severe Dust/Liquid Protection (SDLP) package is available with several FANUC robot models, with wrist units sealed against dust and water according to IP67 standard.